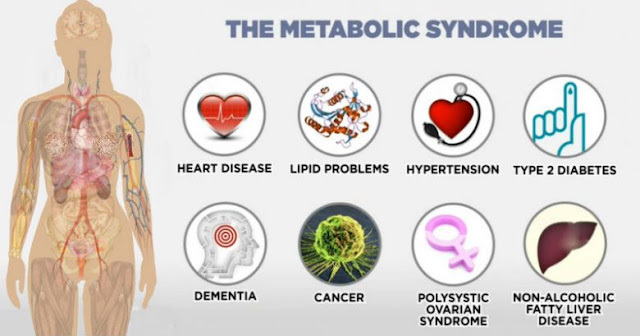 Your metabolism has the main roles for the proper working of your body. It regulates the calorie transformation, whether they are usable, or storable for energy. As you digest food, your body takes glucose into the blood. In this process, the pancreas produces insulin, which causes the cells to receive the glucose. When too much insulin is present in your body and the cells fail to work (receive glucose), metabolic syndrome occurs. These problems have been very common nowadays. High levels of blood sugar from the metabolic syndrome can lead to more serious diseases, such as heart disease, diabetes, and certain cancer types. These Triglycerides are actually fats stored as energy to be utilized when you don’t eat. And if you have a level of triglycerides more than 150, then you have problems. Having more than you use can lead to heart disease. When the waist size of the male is above 40 inches, and of the female is above 35 inches, problems can occur. When your metabolism isn’t balanced, people can more easily gain weight. For people with metabolic syndrome, you can expect to see an expanded waist size. Cholesterol is an essential fat for your body. There are 2 cholesterol types – the “good” and the “bad” cholesterol. -The good cholesterol are High-density lipoproteins (HDL). They’re responsible for removing low-density lipoproteins (LDL, the bad cholesterol!) from your body. -The bad cholesterol are Low-density lipoproteins (LDL), which can appear when the level of HDL is very low. You have to make a balance between these 2 types. HDL (good) cholesterol must be above 40 (male) and 50(female). When it comes to exercise, not all exercises are equal. There are certain ones which promote insulin sensitivity. Burst exercises and strength training are just two of the things you can do to boost your metabolism. If you spend a lot of time sitting at work, make sure to take periodic breaks and stretch! Bitter melon, cinnamon, black cumin seed, can have positive effects in improving blood sugar levels. When combined with healthy food, and healthy changes in your lifestyle, they can help reverse metabolic imbalance. Linked to your diet, mineral deficiencies can be responsible for problems with your metabolism. Consume magnesium, because it is an essential mineral, which improves your metabolism and will help you reverse the metabolic imbalance. Also, omega-3 fatty acids, chromium picolinate, and vitamin D3, are great at preventing insulin resistance. This is the main thing you should do. So, if you have a problem such this – improve your diet! Start implementing more vegetables such as beans and spinach in your diet. Also, consume fruits, healthy fats, and fresh meats. Consume ONLY fresh and healthy food and avoid processed foods as much as possible. You have to relax, and sleep for a least 8 hours, in order to improve your condition. Poor sleep has been linked to overeating and obesity leading to insulin resistance. Research has found that one sleepless night can cause insulin resistance in healthy people.